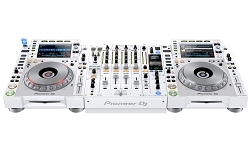 DJ CD Player Packages from top Name Brands: Pioneer DJ, Numark, Denon DJ & many more. 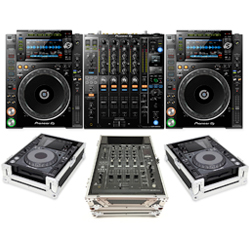 Save big money with our DJ Equipment Sale. 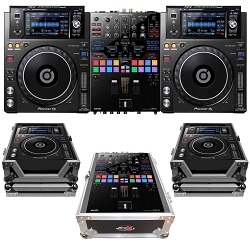 If you looking to get a Cheap DJ Set up make sure to visit our DJ Store located in Chicago. Our CD Player Packages are selected by working DJ's to insure quality performance! Prepare to have a great time with the latest and greatest CD player packages. These CD players allow you to play CD, MP3, and other media formats. You can choose from single or double players. Connect to computers or cue up tracks via Wi-Fi or USB. 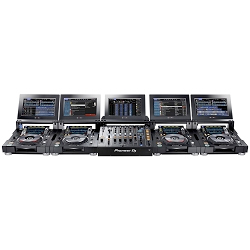 These CD players can withstand the most rigorous scratch performances and suit every DJ’s style. These packages come with all necessary cables. Want to save even more on our already low prices? 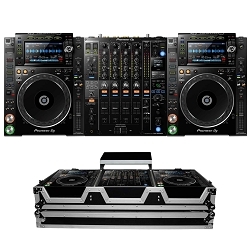 AvMaxx has a variety of DJ packages, including CD player packages! If you don't see what you are looking for, our team of productive DJs are experts at creating custom packages that suit your needs. Call or chat with us today for help in finding the perfect CD player package! Either shop online or call our toll-free number at 800-249-9450.